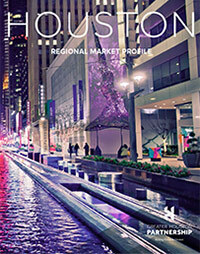 Houston area sales tax allocations reached a record-high in ’18. The Texas state sales and use tax rate is 6.25 percent, but local taxing jurisdictions (cities, counties, special-purpose districts and transit authorities) also may impose sales and use tax up to 2 percent for a total maximum combined rate of 8.25 percent. Texas had 1,594 sales tax jurisdictions, which is the highest number per state and 14.7 percent of the nation’s sales tax jurisdictions in October ’17, according to the latest data available from tax software company Vertex. Sales tax allocations for Metro Houston’s 10 most populous cities totaled $956.7 million in ’18, $59.3 million above the previous record set in ’15. On an inflation adjusted basis, the ’18 annual total is the highest since ’15 as well. Monthly sales tax allocations hit a 10-year high in December ’18, while inflation adjusted allocations peaked one month earlier. Sales tax allocations from the City of Houston comprised the majority of total allocations in the region in ’18, followed by Sugar Land, Conroe, Pasadena, Pearland, Texas City, League City, Galveston, Baytown and Missouri City.